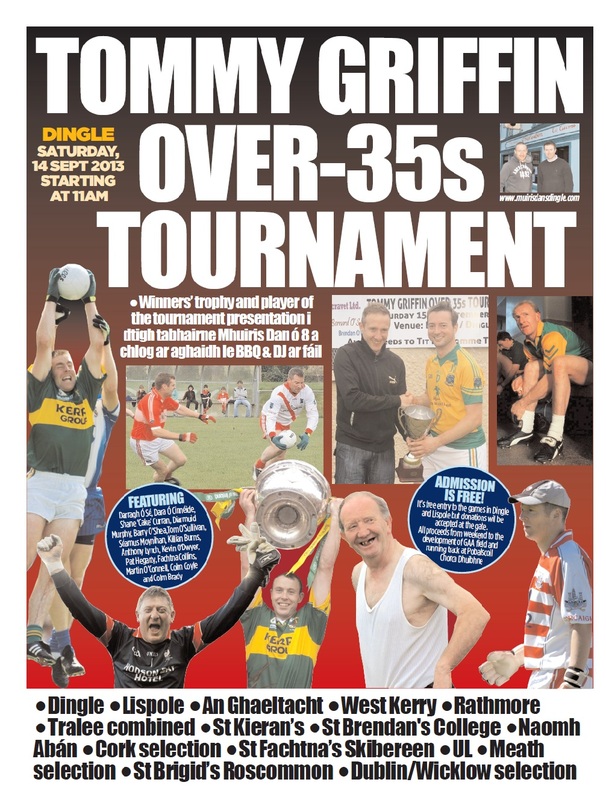 The Tommy Griffin Over-35s Tournament is held in Dingle annually and you are welcome to register your interest team if you wish to take part in this great event in 2014. The tournament is 13-a-side with all games 20 minutes in duration. All players must be 35 years of age and over. Dingle Tradfest normally takes place in town the same weekend so if you need more information please contact Tommy at (086 0785575) or Pádraic at (087 9177413). If you would like to register your team or gain more information please email us at muirisdans@gmail.com or contact 086 0785575 or 087 9177413.